If It's Too Loud...: Ken's Best Albums of 2013: #10: The Dead Milkmen - "Welcome to Undertown"
Ken's Best Albums of 2013: #10: The Dead Milkmen - "Welcome to Undertown"
I probably would have ranked this higher on the list, but it's supposed to be albums and this is a three song single, so #10 it is! Instead of following up 2011's unbelievably great The King in Yellow with another album, the Dead Milkmen opted to release four 7" singles throughout 2012 and 2013. The most recent, "Welcome to Undertown," is my favorite of the batch. The beauty of the Dead Milkmen's return to recording is how well the songs hold up when compared to their previous work. A lot of punk/alternative bands' new material sticks out completely during a live show. Back in April when I saw the Dead Milkmen, I completely forgot that "William Bloat" wasn't on one of their classic albums. Their new material is just that good. 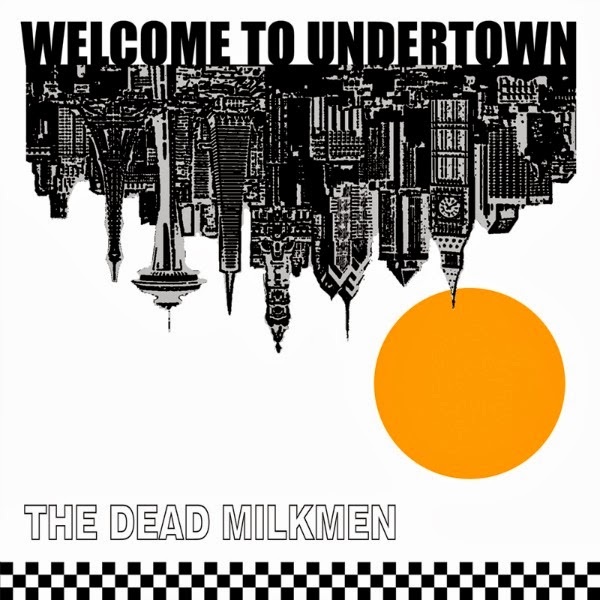 The single "Welcome to Undertown" is written from the perspective of an angry gun owner and fits right in with their classic gun themed anthems ("Right Wing Pigeons," "If I Had a Gun," etc.). It always seems bizarre to me that a band can sing about political issues 25-30 years ago and then sing about the same issues now, but I digress. "The Sun Turns Our Patio Into a Lifeless Hell" might just be the angriest song about middle age of all time. It also has a killer noisy guitar solo you wouldn't normally associate with the Milkmen. It's odd that this particular release is all Rodney Anonymous without a Dean Clean song. That's more of an observation than a complaint. For more information on the Dead Milkmen, head over to their website. You can stream "Welcome to Undertown" below via Soundcloud.